The King Cobra SZ Fairway Woods line from Cobra Golf followed on the heels of the company's release of the King Cobra SZ driver line, creating Cobra's woods family of the time. And what time was that? The Cobra SZ fairway woods were introduced in late 2003. They replaced the Cobra SS fairway woods. The "SZ" in their title stands for "Sweet Zone," and relative to the previous-generation SS fairways they had expanded, hotter clubfaces. Later, "Tour" versions of both the drivers and fairway woods rounded out the lineup. The SZ fairway models were joined in the Cobra lineup by the King Cobra Comp fairways in 2004 and eventually replaced by the King Cobra Baffler DWS and King Cobra Baffler Pro fairway woods in 2006. Despite their age, Cobra SZ fairway woods continue to show up in retailers (real-world and online) that specialize in used, or second-hand, golf clubs. Probably because they were in the Cobra lineup for around two years. According to the PGA Value Guide, the resale value with steel shafts is approximately $30-$40, which depends on condition, of course. Shortly after introducing the new King Cobra SZ driver line, Cobra is now unveiling the fairway wood components in the SZ line. Like with the driver, the "SZ" stands for "sweet zone." The "sweet zone" in SZ line clubs, according to Cobra, improves on nine hot points across the clubface for superior distance, high trajectory, and accuracy. 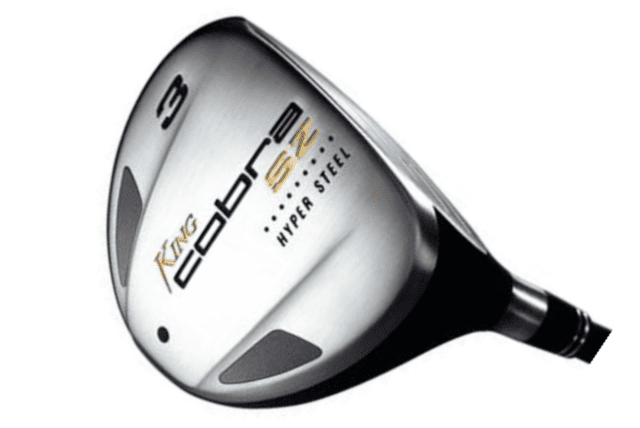 "In comparison to our previous generation fairway metals ... the larger head size and face area of the new straight neck King Cobra SZ fairways promotes greater distance, forgiveness, and consistency," said Jeff Harmet, General Manager of Cobra. "The larger, hotter club face, in combination with a new dual weighting system, helps create a deeper center of gravity, which results in a higher ball flight and more pure golf shots." The new straight neck, hyper steel King Cobra SZ Fairway Metals line is available from a Strong 3-wood through 9-wood in six different lofts: 13.0 (3+), 15.5 (3), 16.5 (4+), 18.0 (5), 21.0 (7) and 24.0 (9) degrees. All feature the Aldila HM-60 (60g) graphite shaft. King Cobra SZ 3, 5, 7 and 9 metals are also offered in "slice reducing" Men's, Seniors' and Women's Offset models. 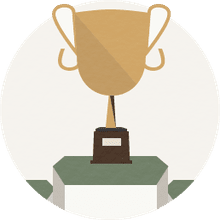 The stock shaft in the Men's Offset driver is a Mitsubishi Rayon SL-60 (60g) shaft, while the Seniors' and Women's models feature lightweight Aldila HM-50 shafts. King Cobra SZ fairway metals will begin shipping to golf shops nationwide on Nov. 15, 2003, with a suggested retail price of $185. Rhombus Face Technology: A rhombus-shaped center and thinner perimeter increase response across the entire clubface to promote maximum ball speed. Dual Weighting System: Placed low in the back of the club head helps create a deeper center of gravity. A deeper center of gravity is key to a more efficient transfer of energy, which helps produce a longer, high ball flight. Larger Profile: A hotter, larger club face promotes higher trajectory, and the contoured sole plate reduces drag. The effects, Cobra says, are improved ball flight and more "pure" golf shots. And most golfers feel more confident over a club with a larger profile.